Stony Brook University is listed in the top 100 for higher education where students can earn a degree in the public university sector, as rated by the personal magazine Kiplinger's. The University is 65 miles from New York City, and is located along the north shores of Long Island. The campus sets nestled on 1100 acres filled with wonderful wildlife, woods, and scenic nature. People simply love the 6 miles of paved bicycle paths which are also used for rollerblading and jogging to. Stony Brook University began in 1957 for preparation of secondary school teachers of mathematics and science. Over the last 40 years this university has boomed in growth and today now has 123 buildings and now has a famous reputation as one of our nation's most important learning institutions for higher education and earning a degree. This university ranks in the top 2% for the entire universities world wide and it's also in the top 10 for public universities. It a distinguished member of the Association of American Universities it offers 119 undergraduate majors and minors, 102 master's programs, 40 doctoral programs, and 32 graduate certificate programs. Stony Brook University has been given a National Science Foundation recognition award for integrating research and education. Stony Brooks College of Arts and Sciences- offers a wide array of academic departments and programs engaged in research and teaching in the fine arts, humanities, social and behavioral sciences, biological sciences, physical sciences, and mathematics. There are 36 majors and 39 minors for undergraduate levels that Stony Brook University offers in conjunction with the Professional Education Program and the School of Professional Development, six combined programs of study leading to the B.A. and M.A.T. degrees. If you are interest in advanced studies they offer Graduate School courses for 29 programs of study leading to the M.A., M.S., or M.F.A. degree, one program leading to the D.M.A., 27 programs of study leading to the Ph.D. degree, and four programs of study leading to Advanced Graduate Certificates. In the College of Arts and Sciences at Stony Brook, students have the opportunity to study with professors whom are leaders in research, scholarship, or creative expression. 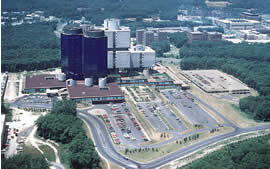 Stony Brook's College of Engineering has seven academic departments, Biomedical Engineering and Statistics, Mathematics, Computer Science, Electrical and Computer Engineering, Materials Science and Engineering, Technology and Society Mechanical Engineering. Stony Brook offers some wonderful courses to allow you to become a PC specialist or expert in desktop publishing, graphic design, Web design, Microsoft Excel, and Microsoft Word. The Professional Development has been a successful computer training provider for over 20 years, assisting adults who want to change careers, reenter the workplace or upgrade their current skills. This program consists of three parts - professional development, computer training and computer lab practice. The program comprises 225 hours and was designed to be completed in approximately 10 weeks. Stony Brook Libraries are filled with almost 2 million bound volumes and 4 million publications in micro format. Their Health Sciences Center is famous as it serves for educational, clinical and research information needs of the faculty, staff and students in the Health Sciences Center, the Medical Center, and the University Community. It is also used as a regional resource assisting health care professionals. It mainly serves students, faculty, and staff of the schools of Dentistry, Health Technology and Management, Medicine, Nursing, and Social Welfare, and the University Hospital Medical Center, Basic Sciences, and the Long Island State Veterans Home. In its ongoing support for helping students earn degrees Stony Brook has an excellent staff at their Student Financial Aid Office. Ready to assists students and their families to maximize their financial aid opportunities by providing application and process information about available grants, scholarships, work opportunities and student loan programs. So you might be wondering how much it will cost me to attend Stony Brook University. At the present time the cost of attendance is estimated as follows and includes estimates for tuition, fees, room, board, books, transportation, and personal expenses. Direct costs are paid directly to the university; indirect costs are related personal expenses so they will vary by student. Did you know Stony Brook University generates over $2.5 billion every year that aids the economy in region. It's the largest single-site employer on Long Island, the University has a little over 13,500 full- and part-time employees. Indirect employment on Long Island brings the total to nearly 30,000. Their Strategic Partnership for Industrial Resurgence has performed a total of more than 950 projects with 200 companies, creating or saving about 8,000 jobs in the region. Stony Brook Alumni Association represents more than 95,000 alumni nationwide and abroad. Established in 1965, the Association works to increase communication, encourage involvement, and expand services for alumni, while we build support for Stony Brook University. Stony Brook University is a powerful hub not just for education but also for the community, from science to medication and beyond student can achieve most any degree they endeavor to earn.